Home › Art › Wood you believe it’s almost Fall? Wood you believe it’s almost Fall? My neighbor uses wood for heating all winter. 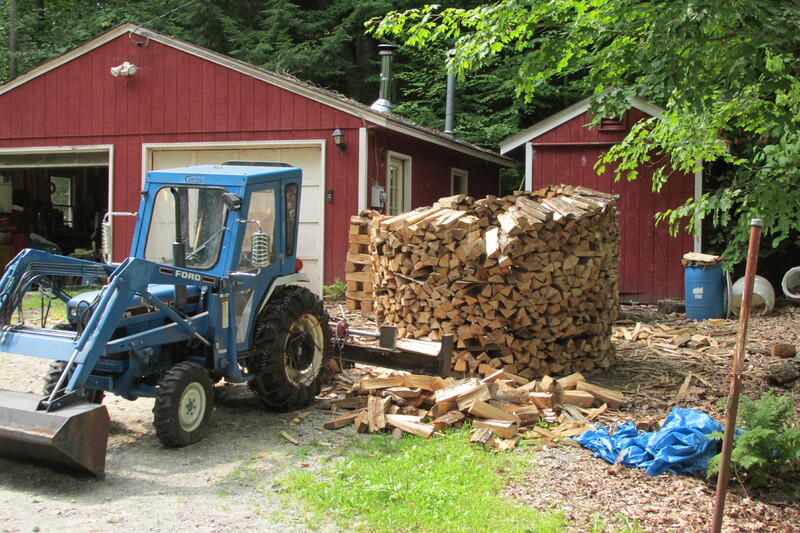 He spends much of the summer cutting and stacking wood for Fall and Winter. There is nothing nicer than a subtle hint of wood smoke along with colorful Fall leaves. Really enjoy the new method….. This year my neighbor is stacking his wood in a new way. He said it is a German method, which translated means “little wooden house”. 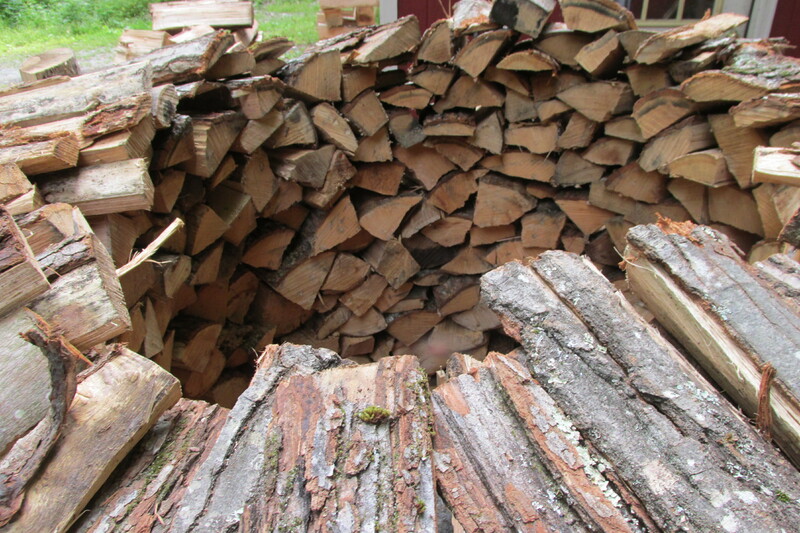 The wood goes around in a circle, but very loosely stacked. There is also an opening in the middle. Wind can blow through the circular wall easily. But when I pushed on the wood pile I find it didn’t budge. The old method my neighbor used had wood piles that could easily be pushed down. These are loose enough for drying but very strong. At the end my neighbor can either build a small roof over the top of the pile, or just stack it in his little tool shed when it is dry. A small roof means he can just pull wood out as needed, as the shape and roof will keep most of the wood dry. that’s the wood shed behind the wood pile. No children are punished there. 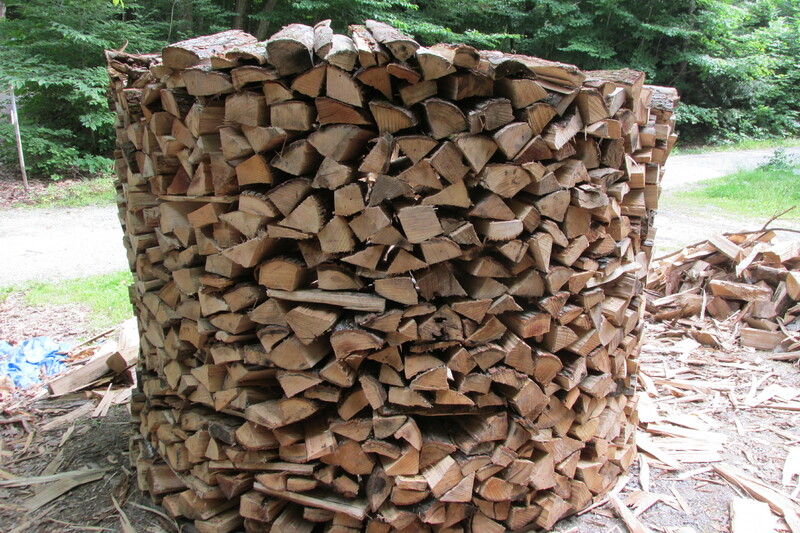 While I don’t use wood to heat, many in the area do as it not only is cheap it keeps you in shape. If we have a tree that is dead and needs to come down (better for it to be cut down in summer than fall on our roof in the winter) our neighbor will cut it down and cut it up. 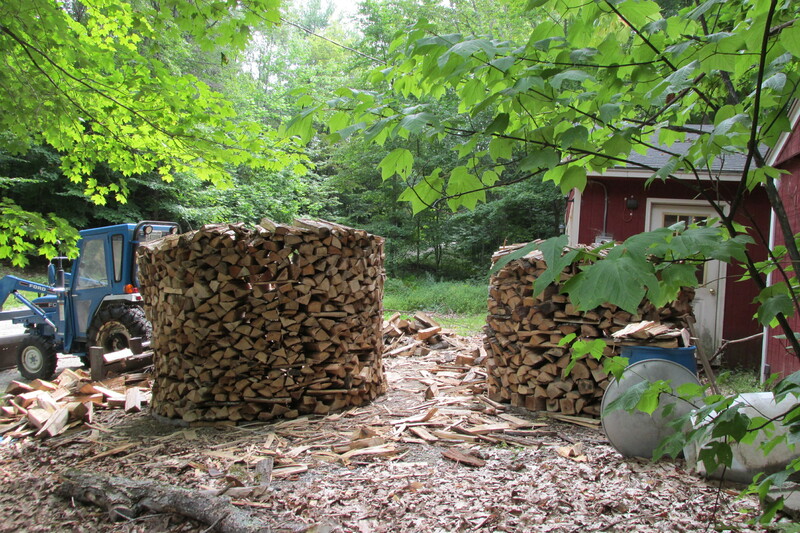 Then onto the woodpile. So far so good, but it will be interesting to hear my neighbors impressions next Spring after a long winter.